ENERGY minister Simon Khaya Moyo yesterday blamed the crippling fuel shortages being faced by the nation on late foreign currency allocation and ethanol shortage. Khaya Moyo told journalists in Bulawayo that the country has not generated enough forex to meet its import requirements, hence, the Reserve Bank of Zimbabwe’s failure to allocate foreign currency to fuel retailers early last week. He said RBZ only managed to release forex last Thursday. “By that time service stations were relatively low on fuel. A spike in demand at the NOIC [National Oil Infrastructure Company of Zimbabwe] depots was the end result. Regrettably, NOIC had not anticipated this spike in demand expressed by way of scores of fuel tankers wanting to load product at the same time,” he said. The minister said beside the forex allocation to fuel companies, RBZ has also arranged letters of credit worth over $26 million for some major oil companies. “It is also important to note that one of the oil companies has an appreciable open credit with its international fuel supplier,” he said. Khaya Moyo said all fuel importers bear the cost of bringing the products into the Zimbabwe which means that “we [government] do not pay for the importation of fuel upfront. Fuel companies carry that cost”. He said over 90% of fuels comes into the country through the Beira to Msasa pipeline and that retailers pay foreign currency for fuel when they pick up product at Mabvuku or Feruka depots. 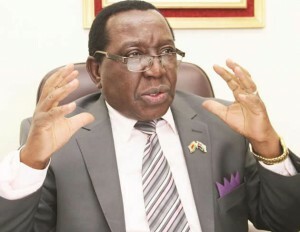 Khaya Moyo urged Zimbabweans and visitors to stop panicking over possible fuel shortages, indicating that the nation had adequate stocks to meet the current fuel demand, saying the government was importing fuel through the pipeline. “This pipeline is currently pumping fuel into the country 24/7 within the short-term, three large vessel carrying fuel for Zimbabwe are expected to dock this week,” Khaya Moyo told journalists. Khaya Moyo said the blending level has been reduced to E10 until August 8. Of late the country has faced fuel problems which resulted to some service stations increasing the pump price to the current levels of between $1,32 and $1,47 per litre of petrol and $1,30 and $1,34 per litre of diesel.